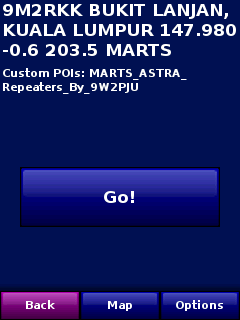 One brave soul (9W2PJU)has made Garmin POI of ASTRA and MARTS repeater location available via Garmin by publishing the Garmin POI file on his website. 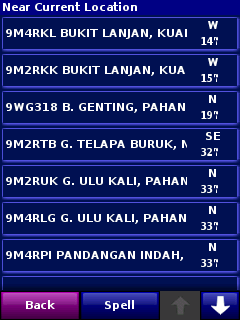 Although from what I read, some people has complaint that the location information stored in the POI is inaccurate, IMHO the exact Amateur Radio Repeater location itself isn’t that important as the information that contains its frequency, tone and shift which can be use to access the repeater. From my observation, the POI of the Garmin does not store the exact location of the repeater (probably for security reason) but the general location of the repeater is good enough for travelers to discover new repeaters and use them while traveling to unfamiliar places, keeping in touch with fellow ham operators. Please refer to 9W2PJU website for the latest POI files.